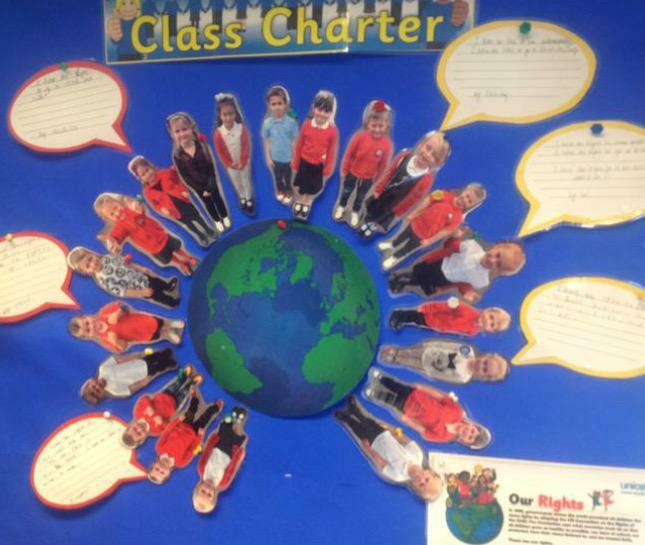 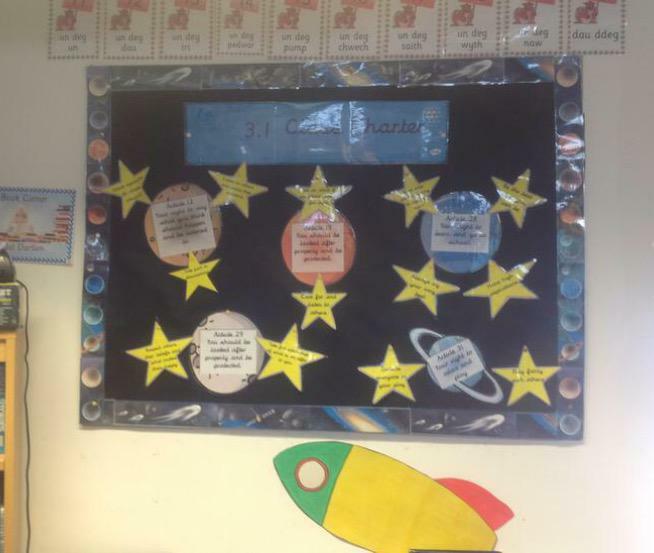 Every September the children choose UNCRC articles that they feel are important to them in their class. 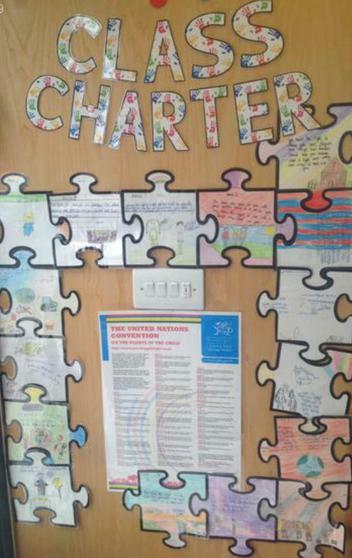 We are a 'no rules' school, instead our charters are used in classrooms to remind us of our rights and to resolve conflicts. 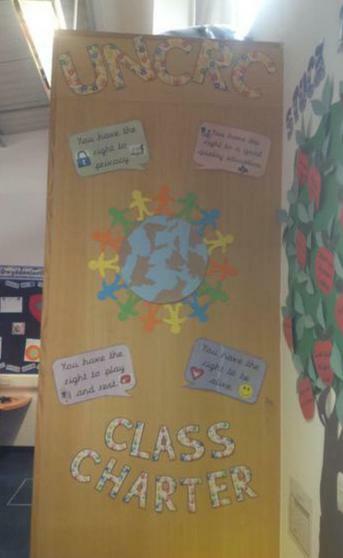 They are referred to by adults as well as children. 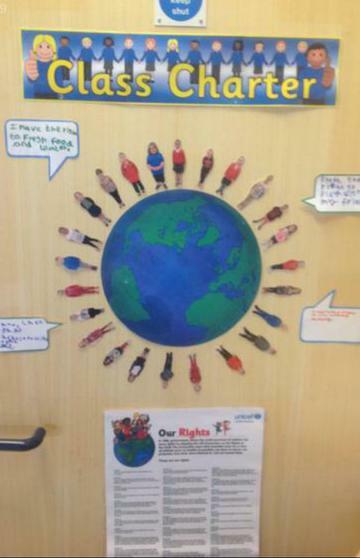 They are created by the children and are 'tweaked' throughout the year when the children feel it is needed. 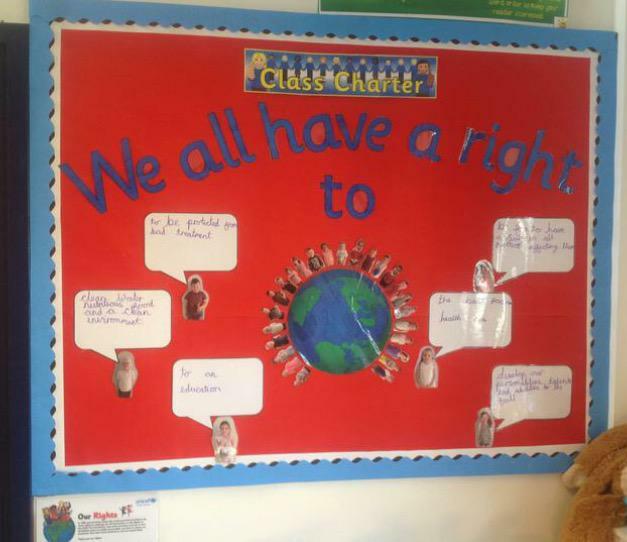 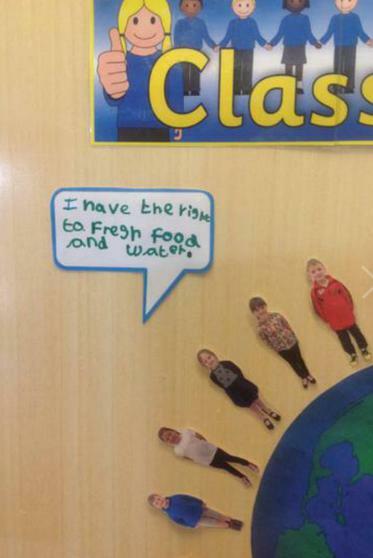 Children realise that along with rights come responsibilities. 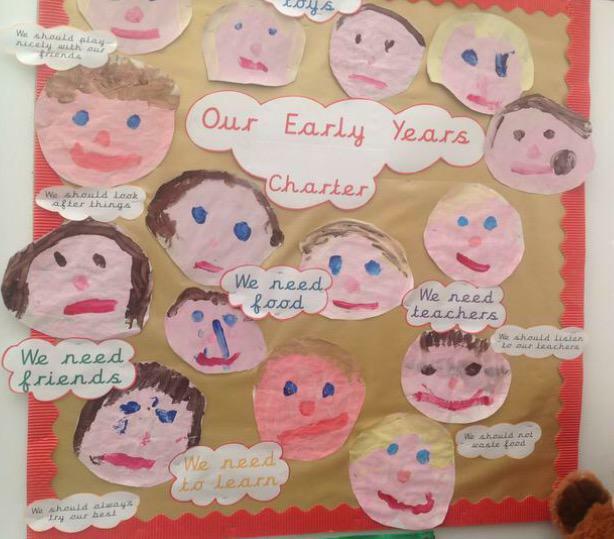 In EY/Rec the children choose what they feel they 'need'in school.